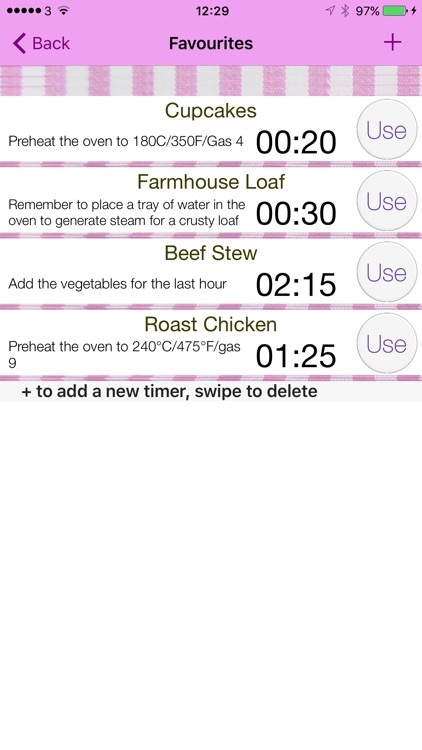 Mama's Kitchen Timer is an iPhone and iPad app designed to keep track of all your kitchen timer needs. 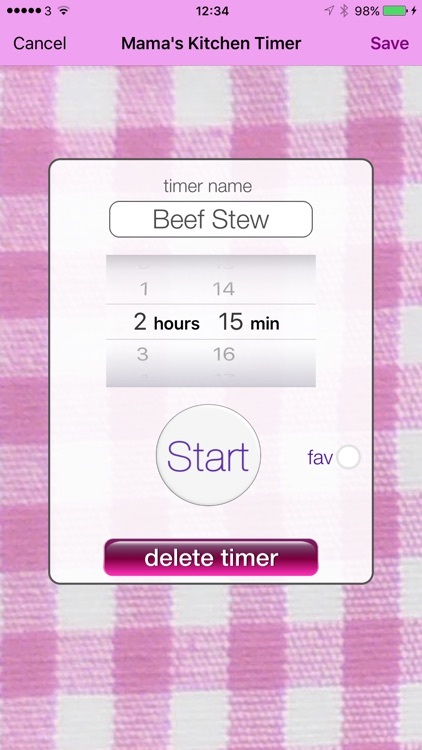 The app features unlimited timers with free placement and movement of the timers on your screen. 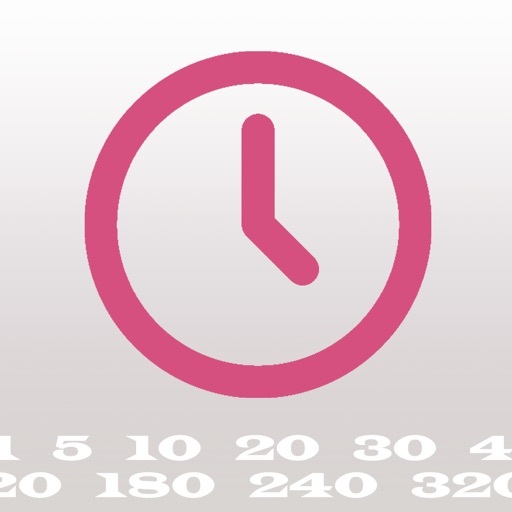 Timers countdown up to a maximum of 23 hours and 59 minutes. Local notifications will keep you aware of completed timers so make sure you allow notifications when asked to do so after you run the app for the first time. Countdown Timers which can be saved for later use, named, moved around, locked in position and deleted. 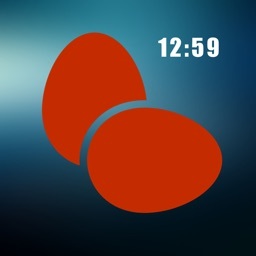 Timers can be paused and restarted. 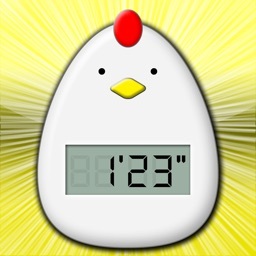 Store your commonly used timers to make setting up new timers even easier. 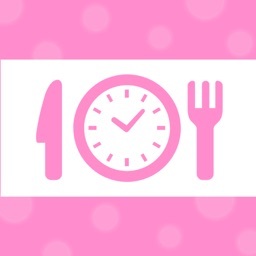 Add notes to your favourites to aid with your tasks. Common conversions for weights and temperature. 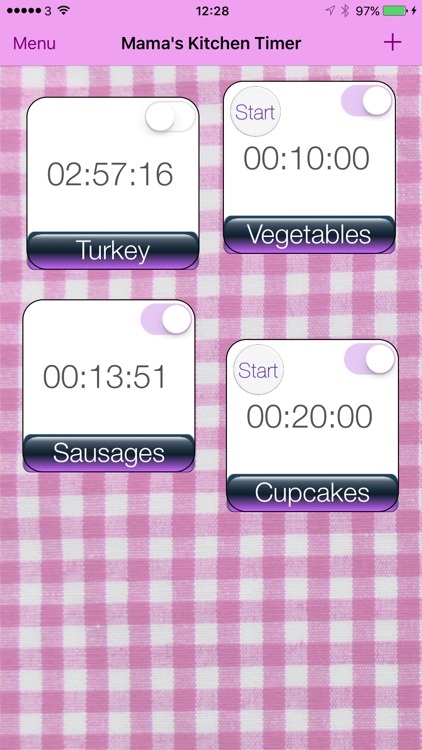 8 selectable sounds for use in the app and with local notifications on your devices. 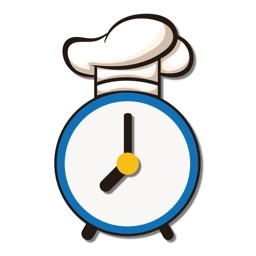 Timers are saved when you close the app or it is automatically terminated by iOS. 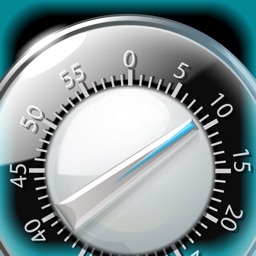 You receive notifications even when the app is not running so long as your device is powered on. Apple watch also receives notifications if it is set up to do so.